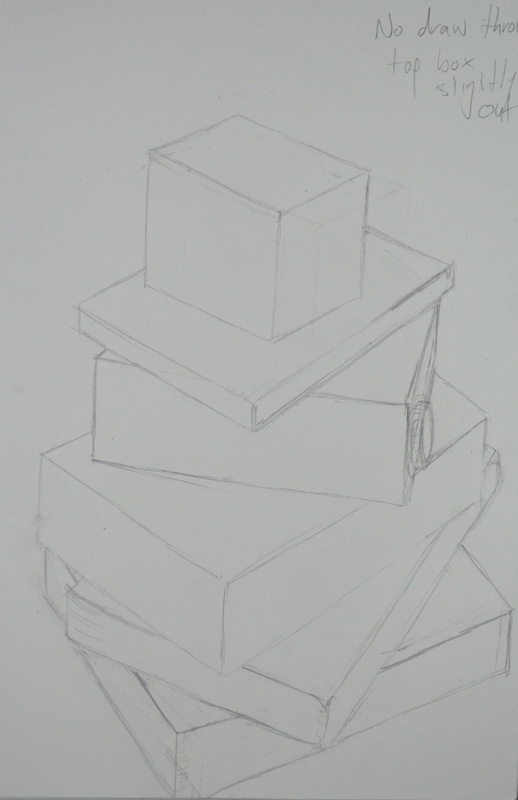 For this exercise of drawing a pile of six mixed boxes and books I decided that I would approach it from two different angles, with the easel and without, both with an hb pencil. Knowing that I would be rocking back and forth from the easel hence changing perspective I was intrigued to see how the drawing would turn out, plus I hadn’t had the easel out for a while. 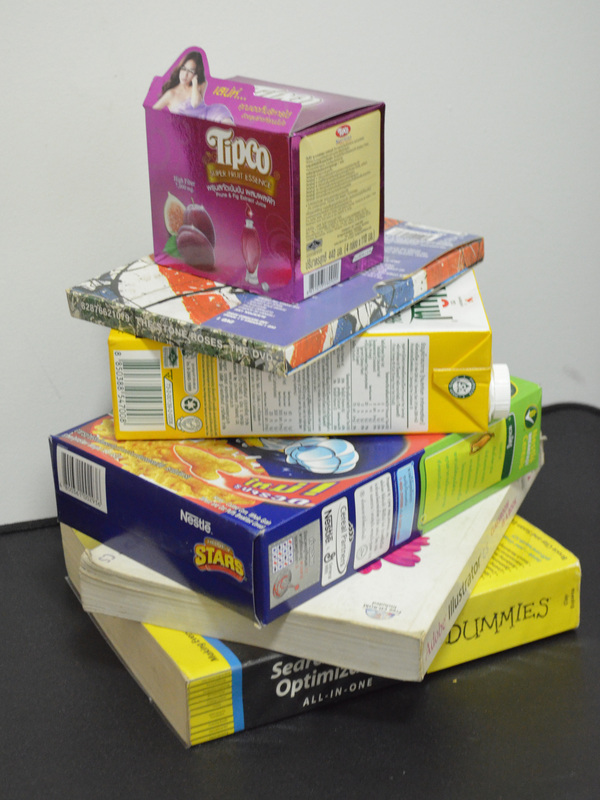 After a play around with the books I opted to attempt drawing the books at probably one of the worst angles I could put them in with the back corners of all, almost in-line. 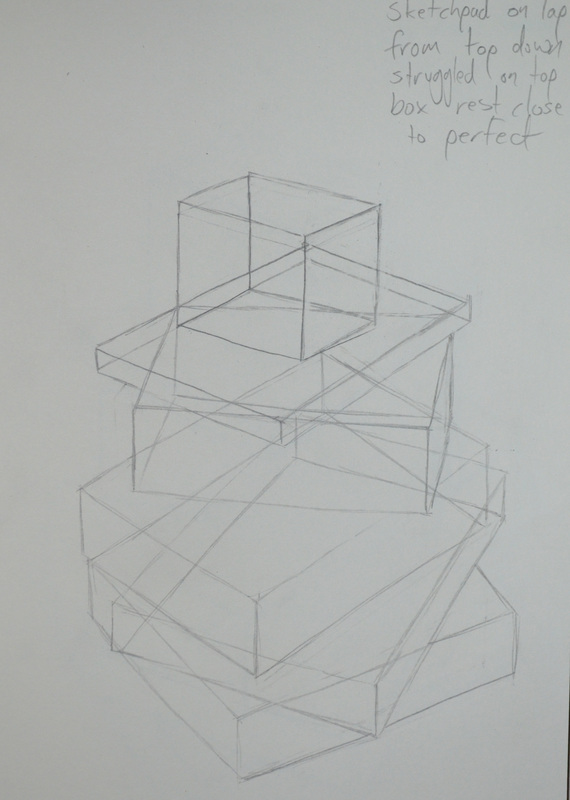 I was right about using the easel, even though the stack of books and boxes were in perspective the finished sketch did not look like I had drawn it from the angle I had aimed for. I also drew from the bottom book up which I found was more difficult as it is easier to draw down. 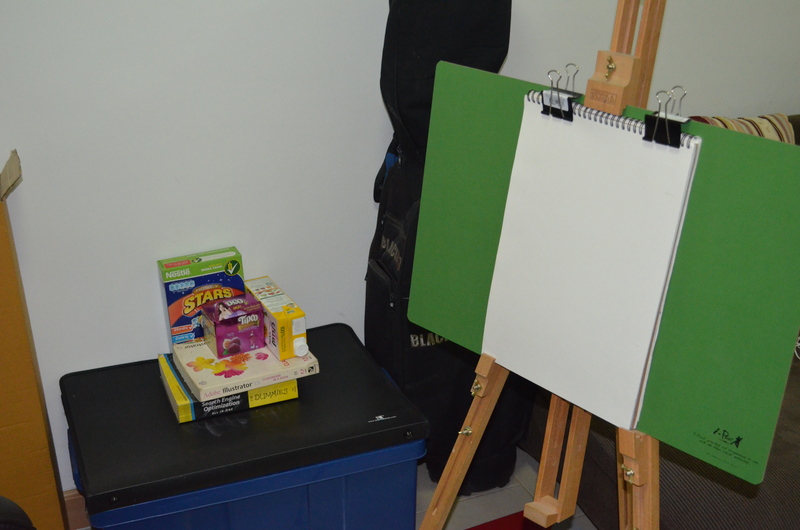 For my second go I packed up the easel and settled for the sketchbook on my knee approach, and drawing with my head back in the chair I managed to get the books in almost the right position every time. 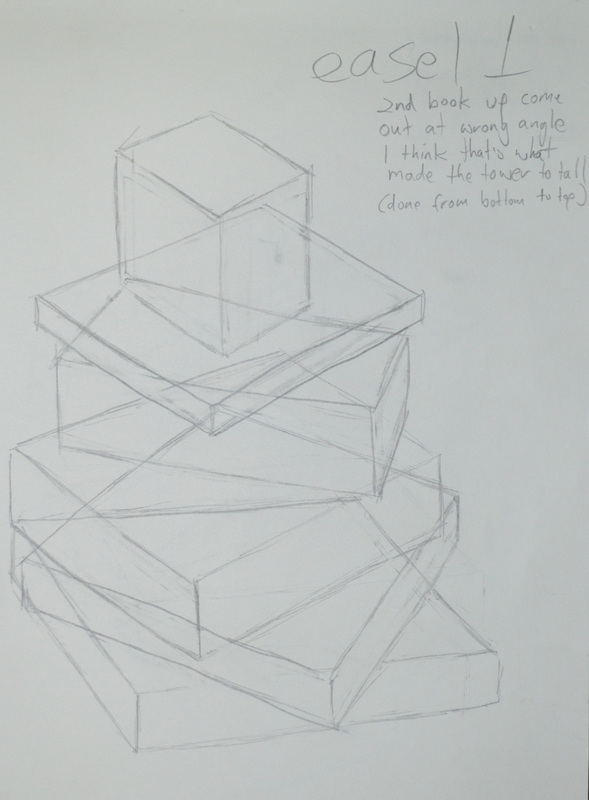 This time I drew from the top box down to the bottom book and turning my sketchpad around as I pulled the pencil towards me to get better lines and angles I sailed through it in about 25 minutes. This time I wanted to have another go without drawing the lines through, I could have just erased all the lines on the second drawing but i decided I needed the practise so started a fresh. I drew the top box a bit bigger than it should have been and so the angles were slightly out and I almost lost the bottom of the book, but I was still happy with the finished result and so I added to the drawing with a little bit of detail. Taking design and communication all those years ago at school paid off on this exercise but the true trick was to place a dot where the corners should be and then draw towards them, that way there is less line correction needed.